This property occupies a stunning location overlooking its own sandy cove, the turquoise seas and the remarkable granite formations so typical of this area. 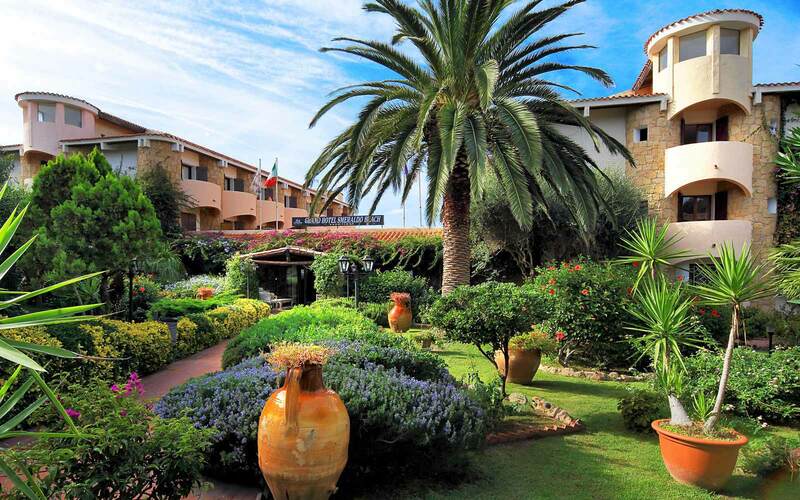 Just a few minute walk takes you into the centre of fashionable Baja Sardinia, making the Smeraldo Beach the ideal choice for those wishing to be within easy walking distance of shops and restaurants. 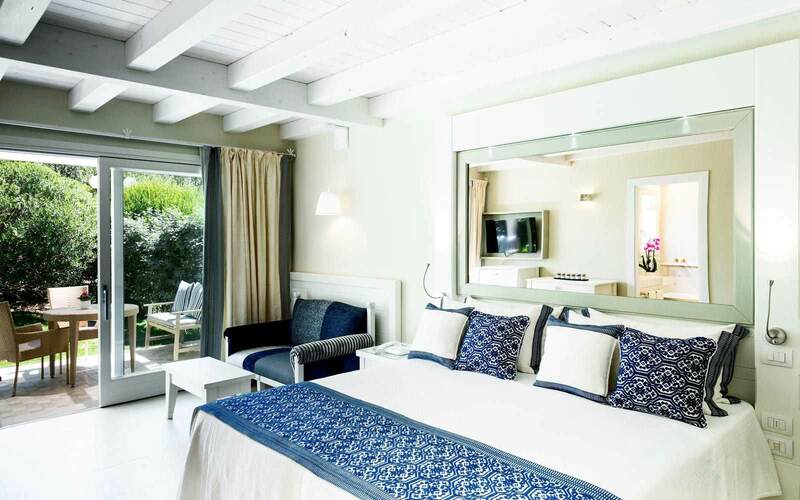 Baja Sardinia has a lively square overlooking the main beach and the coast is particularly appealing in this area, characterised by little bays and inlets. 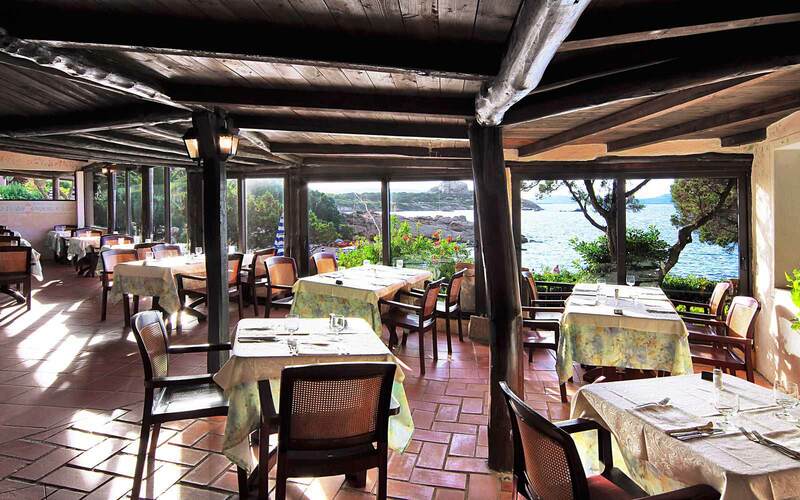 There is plenty of choice for excursions to other nearby resorts, including Porto Rotondo and Porto Cervo. 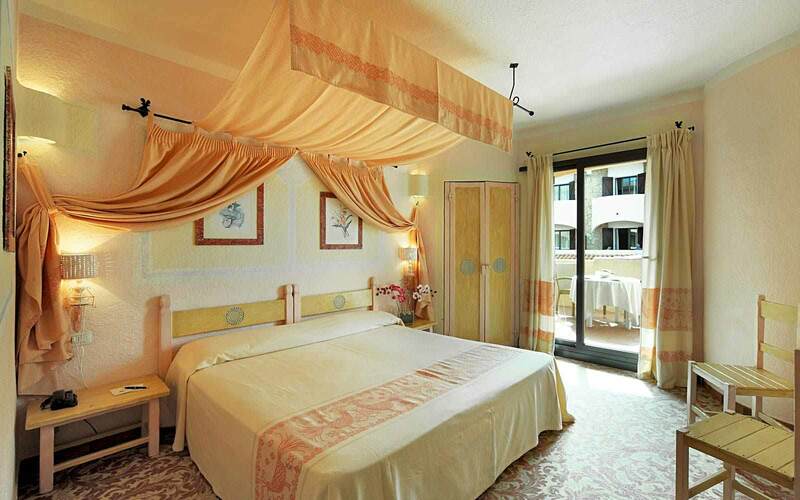 Hotel Smeraldo Beach is comfortably decorated and furnished throughout. 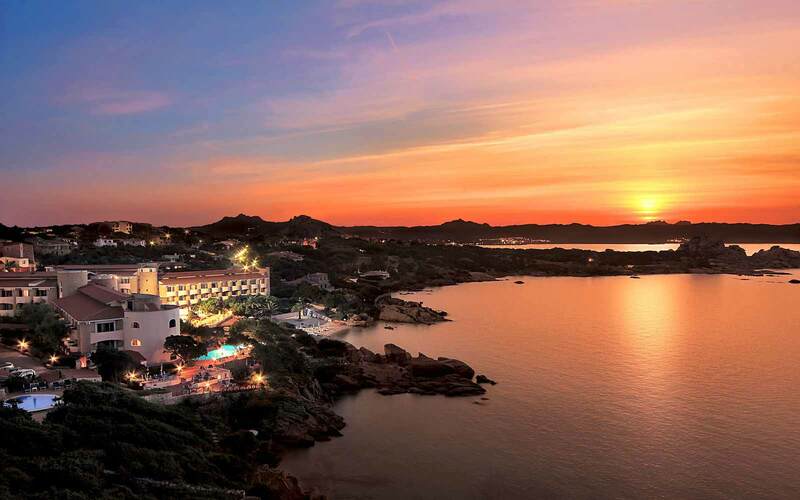 The hotel offers a choice of two restaurants, serving both local and international specialities, and two bars, including the Piano Bar (from 19:00 to 24:00 - on Wednesday excluded), which has terraces providing wonderful views of Caprera and La Maddalena Islands in the distance. 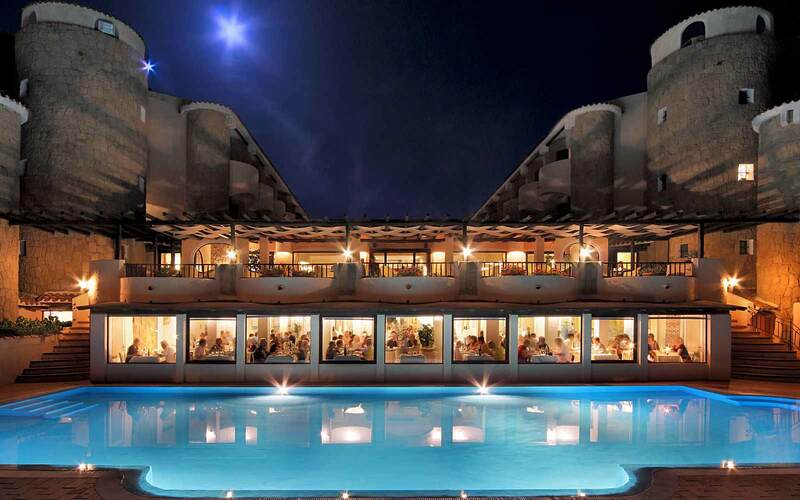 The large swimming pool, including Whirlpool Jacuzzi, is pleasantly located and the surrounding terraces are well equipped with sun-beds and parasols. At the guests' disposal are other pools, including one with hydro-massage. 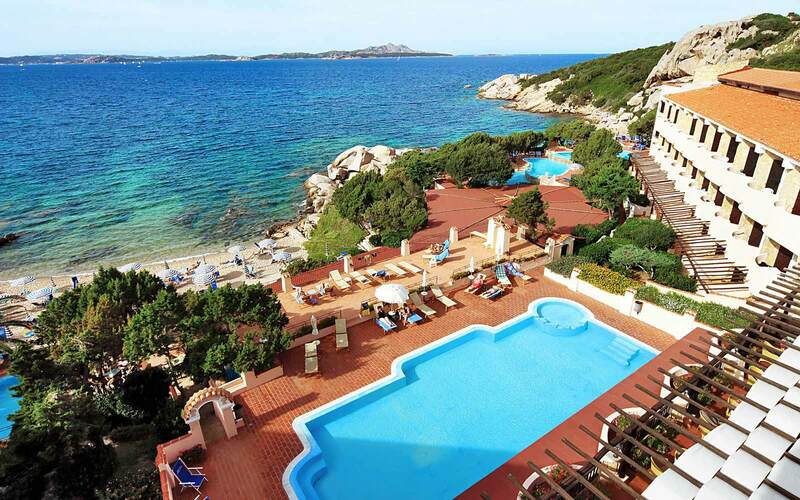 Guests can also spend their time at the small beach "Smeralda" equipped with parasols and sundecks. Beach towels are also availbale at an extra cost (first one free of charge). Available 150m away and payable locally are three tennis courts, and guests may also hire equipment for water-sports nearby. 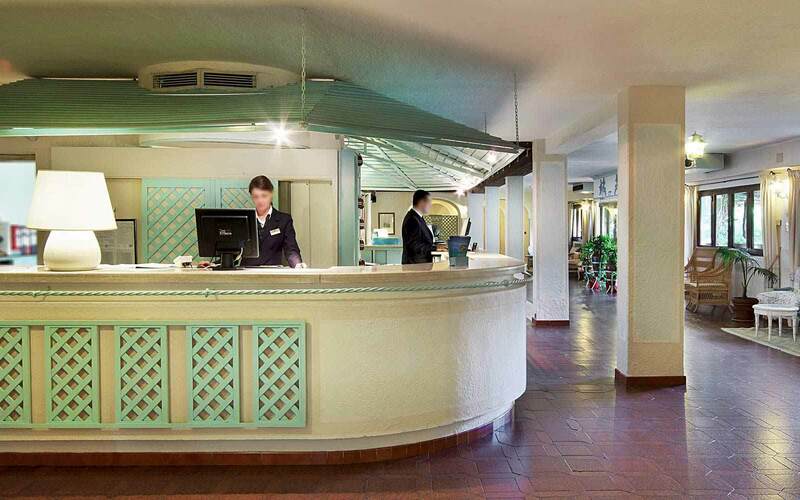 The spacious, airy lounge has pleasant areas where you can relax and enjoy the warm and welcoming atmosphere. 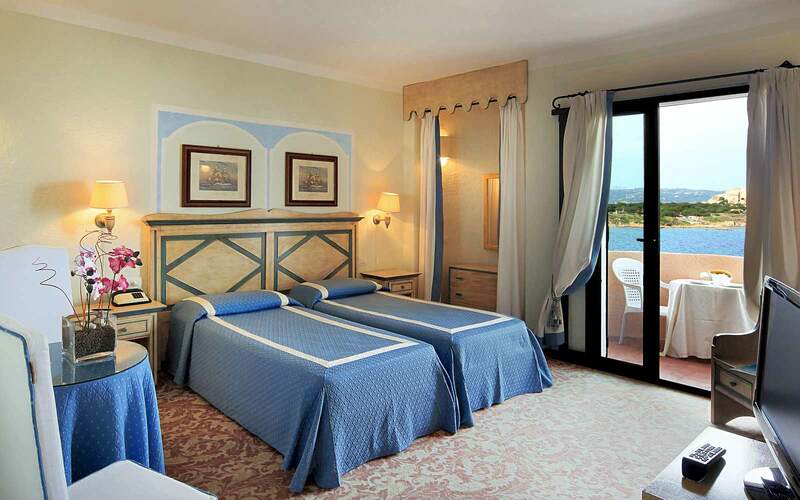 162 comfortably furnished rooms, many with lovely views over the bay. Standard: Twin bedded rooms with inland view. Third/fourth bed on request. Connecting available. 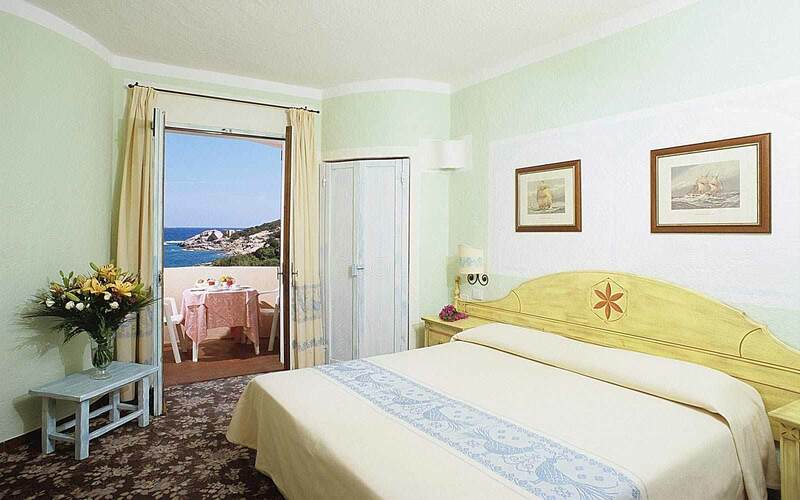 Side sea view: Twin bedded rooms with lateral sea view. Front sea view: Twin bedded rooms with front sea view. Third/fourth bed on request. A limited number connect. 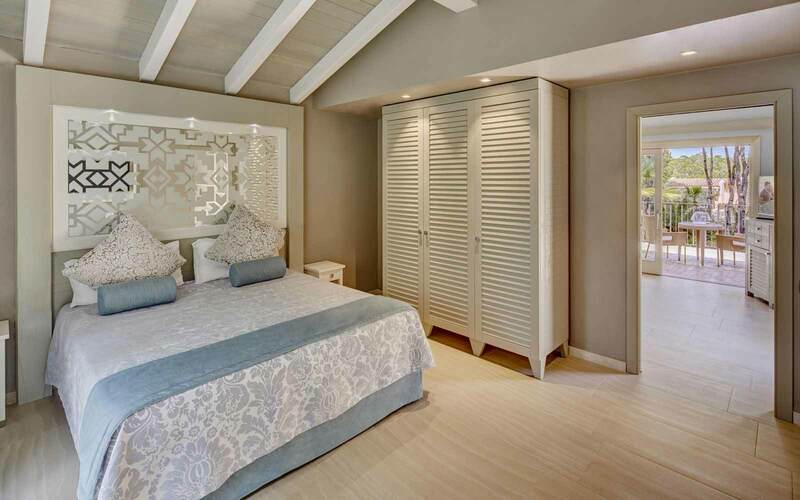 All rooms offer: bath or shower room, air-conditioning, satellite TV, mini-bar, hairdryer, safe (in some categories of room), furnished patio or balcony. 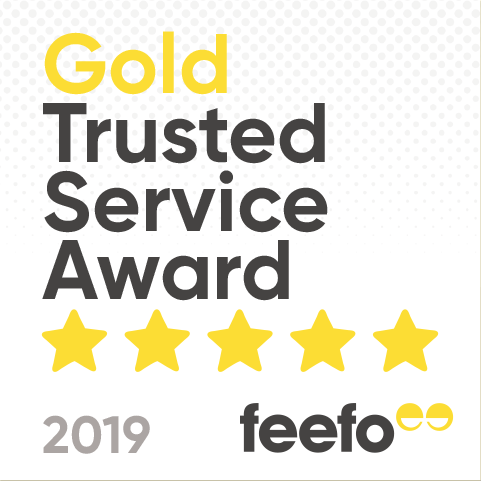 'The hotel was the only one we have been to where you did not have to run and place your towels to reserve a lounger,plenty of loungers in wonderful areas.We would like to visit this hotel again,thank you all'.